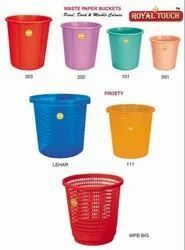 We produce a range of Stripe Plastic Bucket that are either transparent or pearl finish. They are made from the best quality plastic to stand water corrosion for a longer period of time. Available in various sizes and shapes they essentially have a striped surface. We have four different kinds of buckets available with us, the product code for which has been provided here: 261, 201, 1116, 1107. We manufacture the most fashionable and good looking range of Frosty Plastic Bucket with frosty surface, to perfectly match and compliment the modern-day bath fittings. They are available in 5 different colour and sizes. 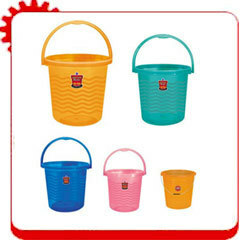 We offer bucket start with a capacity of 5 liters approx and go up to maximum of 30 liters approx. Our products are available in various colors and feature superior durability standards. "We deal only in bulk quantity"
We offer different types of Office Dust Bin available with us. They differ from each other by virtue of either color or size. They can be used in bathrooms, kitchens, offices public places etc., and are made from non-transparent plastic and bear stripes in their surfaces. 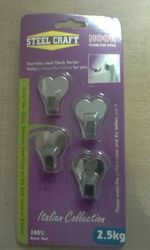 There are four of them available the product codes being: 303, 202, 101, 091 in the descending order of size. 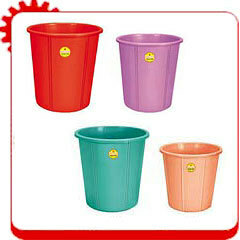 Our exhaustive product range also consists of another type of Plastic Bath Stool which is more commonly known as Patlas. Again they are available in various different types and in an array of colors. A wide range of handy and portable Fancy Frosty Bath Stools also adorn our product range. They are made from the best quality raw material that enables them to sustain any amount of weight on them.